Margo Meola joined Bonezzi Switzer Polito & Hupp as a Shareholder in July of 2015. Prior to joining BSPH, she was a partner with Davis & Young and also served as the managing partner of an insurance / malpractice defense firm in Youngstown, Ohio, for fifteen years. Ms. Meola began her career as an Attorney Clerk for the Honorable Joseph J. Vukovich in the Seventh District Court of Appeals. She has extensive civil trial and appellate experience and has handled complex and mass tort litigation, as well as medical malpractice and insurance coverage matters. Ms. Meola frequently lectures on medical malpractice and insurance issues and has been active in the Mahoning County, Trumbull County and Ohio State Bar Associations. 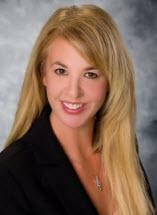 She is also a member of the Ohio Association of Civil Trial Attorneys (OACTA) and the Ohio Women's Bar Association. Ms. Meola has exclusively represented hospitals, physicians and insurance companies and their insureds for her entire career. A seasoned litigator, she has tried cases in state and federal courts across Northeast Ohio. Ms. Meola is also licensed to practice in the United States District Court, Northern District of Ohio, as well as the Southern District of Ohio, and the Supreme Court of the United States. She grew up in Ashtabula County in Ohio and currently resides in Trumbull County with her husband, Jack, and two sons. Ms. Meola practices out of BSPH's Youngstown office.